A definitive catalogue on the works and sculptures of Artist Murray Grant. 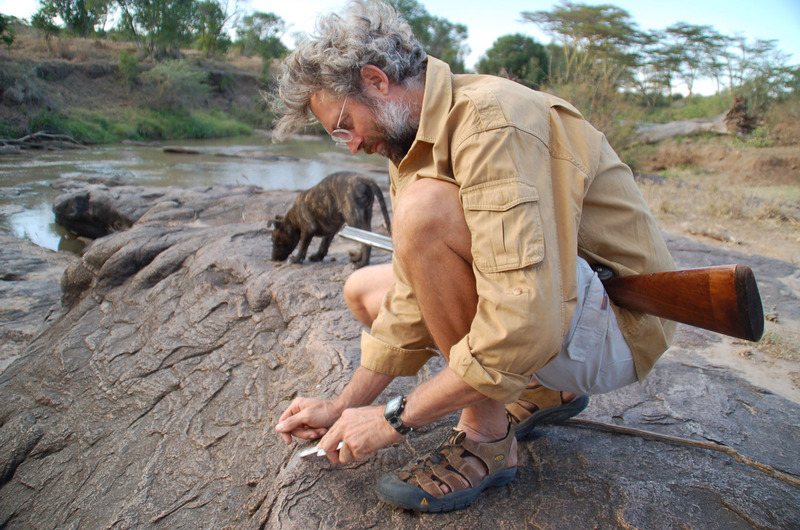 Murray’s upbringing surrounded by East African wildlife and working in habitat conservation has afforded him a unique understanding of animal behaviour and ecology. His life in Africa allows him to explore incredible regions on foot, by land cruiser, with his mobile studio and these rich experiences resonate throughout his work. In the finish of each piece, a depth of knowledge, empathy and passion for the beautiful animals he sculpts is evidenced. His technique combines the old and the new. He uses anatomical study, field sketching and the latest technologies to achieve the finest detail in his works of art. Projects are painstaking and involve months of research in remote and often difficult to reach areas of Africa and beyond. His subjects are often specific individuals of rare or endangered species and this means he is consistently testing his knowledge, equipment and artistic skill to the limit. The creative process is one of complete immersion and always begins with hours of field sketching, photography and behavioral, ecological and anatomical study. Each piece requires a unique approach; some require hidden camera work and months of immersive research. Examples of longer term projects are his 2 year research project into the critically endangered Kenyan Mountain Bongo, tracking a huge mountain leopard in a remote high altitude habitat and sculpting the Mountain Nyala of the Ethiopian Highlands. Many projects involve gathering unique data that can be used in conservation work, including mapping of species and crucial habitats. Murray has access to some of Africa’s best wildlife areas and collaborates widely with the local wildlife authorities to use his research materials in crucial wildlife monitoring and protections programmes. Using some of the most cutting edge motion sensor cameras, Murray now has archives of research photography on several important species. 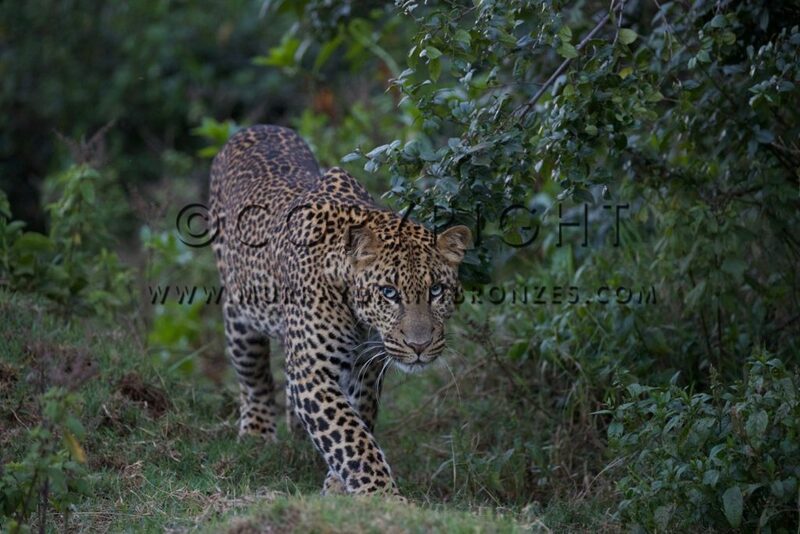 These images are used by those working in wildlife surveillance to positively identify individuals and territories. Murray’s work is cast by Europe’s most cutting-edge Foundry, Pangolin Editions in UK, who are world class specialists in the lost wax process. Murray is passionate about his wildlife photography and relies a great deal on the information he collects through his camera work for movement, muscle, skin and other nuanced aspects of the subjects he sculpts. During his time in the bush he has been able to capture and witness countless unusual and significant wildlife sequences, which he records with still photography and video. Occasionally he produces limited edition prints for sale. Ⓒ 2017 Murray Grant Bronzes - Website designed by Steve Russell Studios Ltd.